Of course, holidays are for relaxing, chilling out and rejuvenating. However, they are also for having fun and late nights are an option as there’s no work the next day. 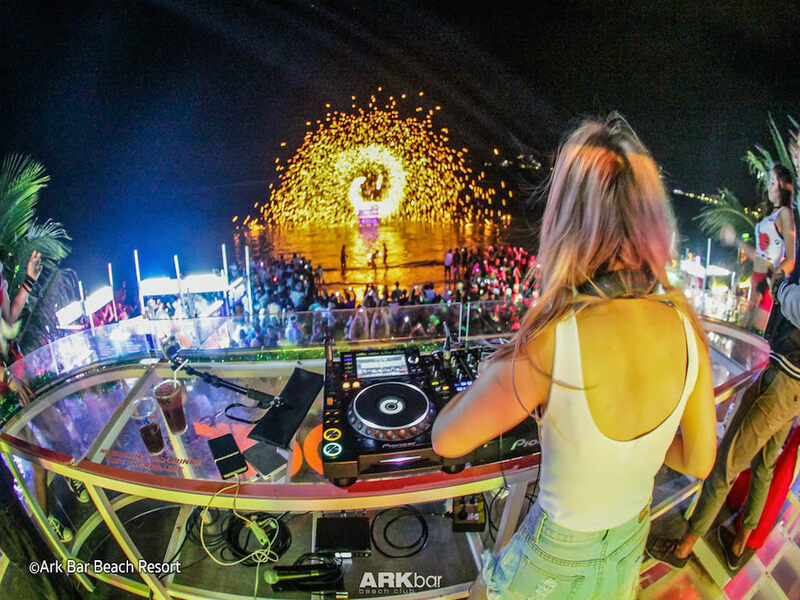 Whatever kind of night life you are looking for, you’ll find it on Samui. We have a few recommendations to get you started. 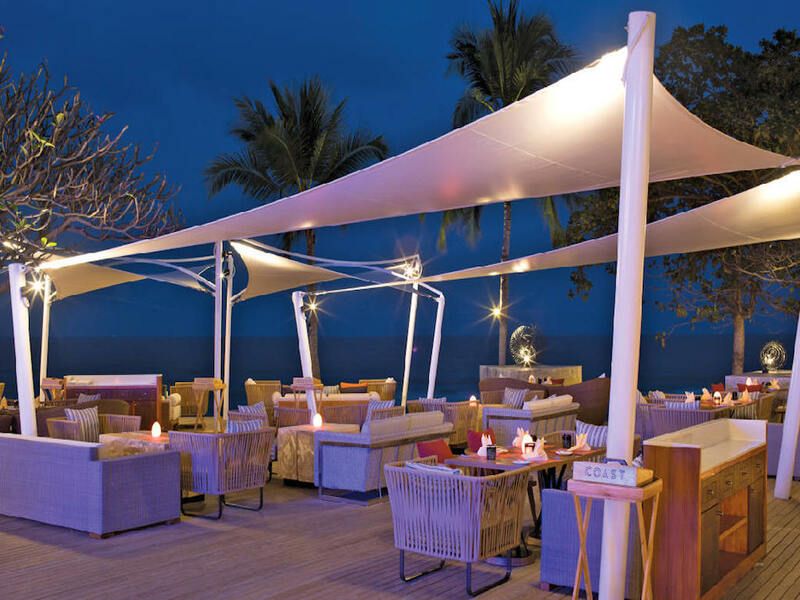 The chic, cool Coast Beach Club, ideally set on gorgeous Chaweng beach, is a great place for a few sundowners. Large wicker sofas and double sunbeds with oversized mattresses dot the beach front wooden deck. Chill to the gentle DJ set as the sunset hues are replaced by magical torch light. Make sure you stay on to see the acrobatic fire twirlers performance on the beach. Check out the Coast Beach Club website for more information for groups and private events. 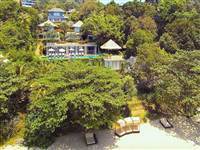 Set dramatically on the cliffs over- looking Taling Ngam bay is the Air Bar. This super chic cocktail bar has wooden decks sprawled out on the rocks giving uninterrupted, panoramic views over the ocean and the Five islands. There’s a cool and lively vibe complemented by great service and a range of fabulous cocktails created by the world class mixologists. A live saxophonist and singer welcome in the sunset with chilled Jazz tunes. 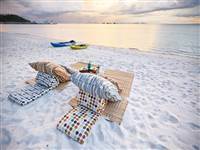 Beachfront Coco Tams, on Bophut beach, is easily identifiable by its large, indulgent cushions and low tables set out on the beach. Plonk yourself down, order your cocktail and watch the beach life antics. Surrounding the bar are adult swings, if you prefer propping up the bar! Friendly service, creative cocktails, chilled music and the beach front location make Coco Tams the perfect sunset venue. 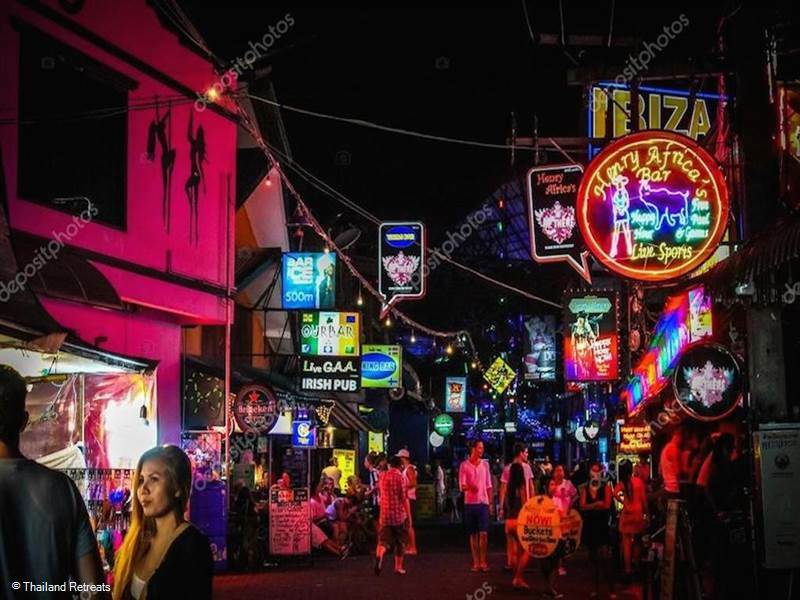 Why not combine a trip to Coco Tams with a browse around Bophut Walking Street on a Friday evening. 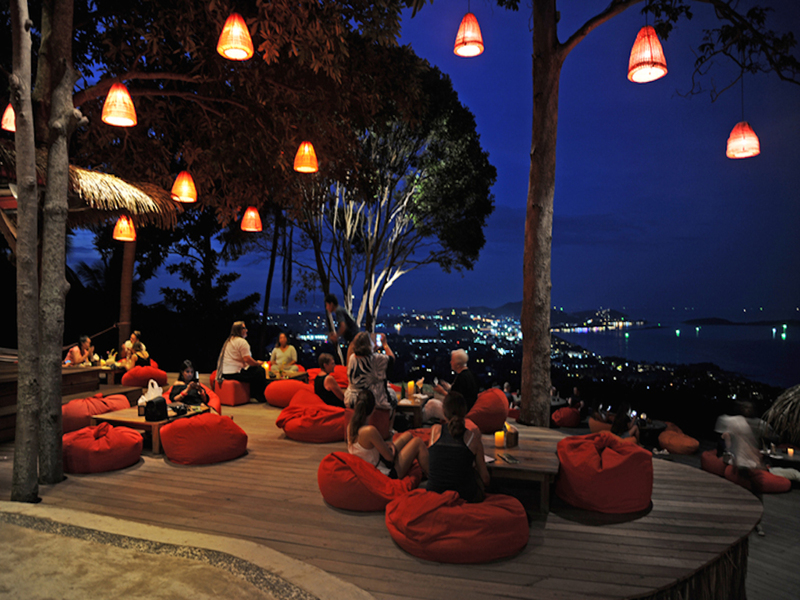 This Jungle Club, set high on the hillside overlooking Chaweng Noi, is a long term favourite of locals and tourists alike. A steep rocky road up the mountainside is the only way to get there- don’t worry they send a jeep to pick you up at the bottom! The rustic Jungle Club’s setting, in a coconut plantation, is gorgeous, but as you approach the bamboo pavilions and decks set on the hillside, you’ll realise why it’s highly recommended. 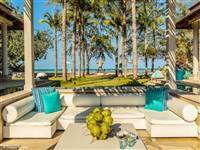 The chilled spaces maximise the panoramic view over the Gulf of Thailand. Cool tunes accompany the setting sun and then the candlelight creates a magical, serene ambience. Book your pick up from the bottom of the mountain in advance. It’s advisable not to try the drive yourself! The Ark Bar on Chaweng beach has long been a favourite with tourists looking for a beach party. With regular international DJs playing, fun loving party goers and a lively vibe, it’s the ultimate party spot. 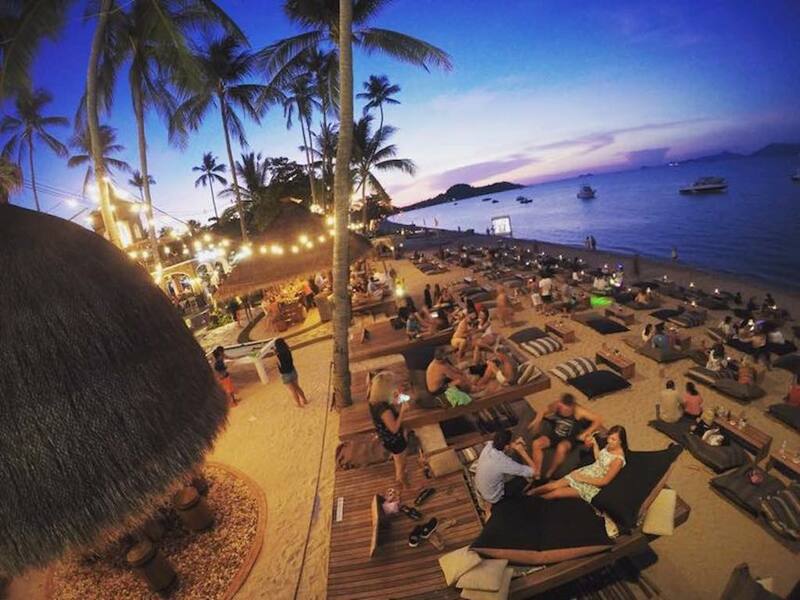 A cocktail of hot dance tunes, the famous Samui ‘bucket’, dancing barefoot on the sand and the sun setting is a great recipe for a hip night out on Samui. Large sunbed decks line the shore, so if you are more of voyeuristic party goer they are perfect for chilling out and people watching. A ‘bucket’ is a small plastic bucket filled with your favourite spirit and mixer. Enjoy the spectacle of people dancing with a pink bucket, sucking on pink straws. Notice the entrepreneurial hawkers selling all sorts of shiny tack along the beach from lazer pointers to plastic nodding horses to bouncy sparkling balls! The fun just keeps going in Chaweng once the sun has gone down. A holiday in Thailand is not complete without taking in an infamous Thai Lady Boy cabaret. Starz Cabaret, in the centre of Chaweng, is fun and before long you’ll be singing along to all the classic numbers. Diamantes, sequins and feathers are the craze and the dance acts are creative and entertaining. Entrance is free but you have to buy a drinks – they are a bit pricier but remember the show is free. If you want to take photos of the Lady Boys after the show be prepared to pay 100 baht or so. 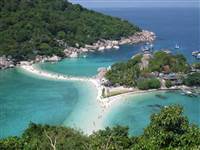 If you’ve done the sunset, had dinner, seen the cabaret and are still raring to go, the next place on the list is Soi Green Mango. 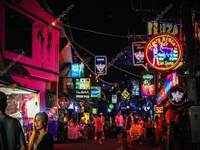 It’s the hedonistic heart of Chaweng nightlife with a string of bars selling cheap booze and belting out music. The strip comes to and end at the rocking Green Mango club. International and local DJs spin the tunes well into the early hours of the morning and it’s always full of happy, sun kissed tourists dancing the night away. Haggle with the late night taxi drivers!